With bustling energy, big-city sophistication and warm Southern hospitality, the Atlanta Metro Travel Region is a favorite destination among visitors and those who call it home. 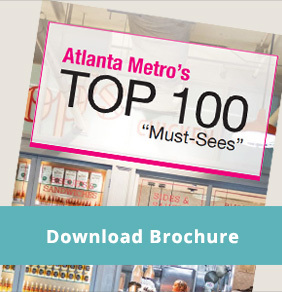 Comprised of 8 counties, each with endless energy, Metro Atlanta invites you to indulge in International cuisine, sample some of the best shopping in the South, enjoy our ever growing list of events and festivals, create a cultural experience while reliving history and so much more. Would you like to know more about the Atlanta Metro area as well as meet the people behind some of the popular destinations that make our area so unique? Visit our regional page over at Explore Georgia. Membership in AMTA has endless possibilities. Meet future partners, build your business and make new friends.